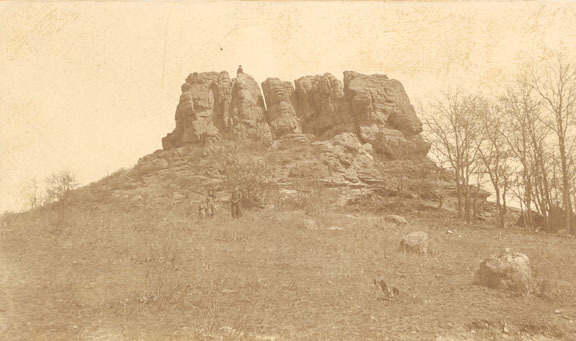 Blue Mounds has been a township longer than Wisconsin has been a state; its creation by the Territorial Legislature was approved on March 11, 1848, two months before Wisconsin became a state. This is the area that was home to Dane County’s first permanent white settler, Ebenezer Brigham, in 1828. Dairy farming flourished there, followed by tourism. 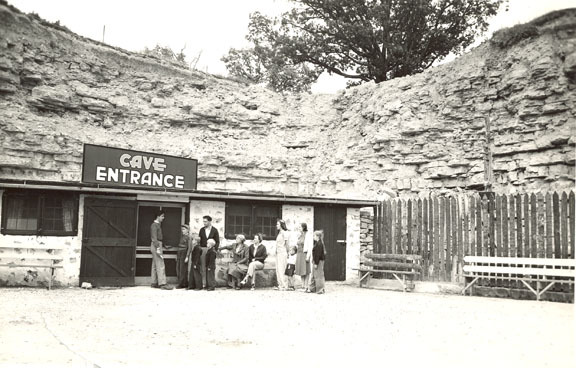 Blue Mounds Township is home to Little Norway and Cave of the Mounds. The village was established when the Chicago and North Western Railway and its depot arrived here in 1881. A village called Pokerville had been located to its west, but the depot changed the communities’ history. 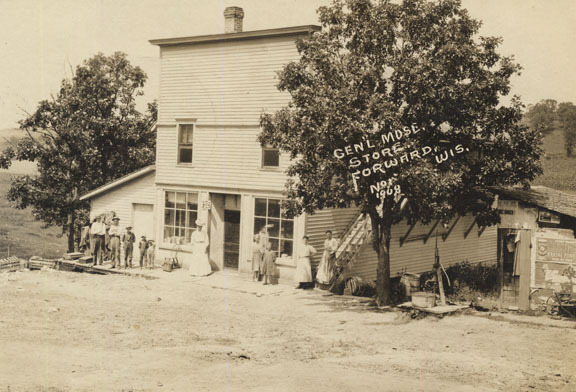 Blue Mounds once had several general stores, taverns, a cheese factory and an opera house. Today, the community has grown and many of the old buildings have been repurposed for modern use. 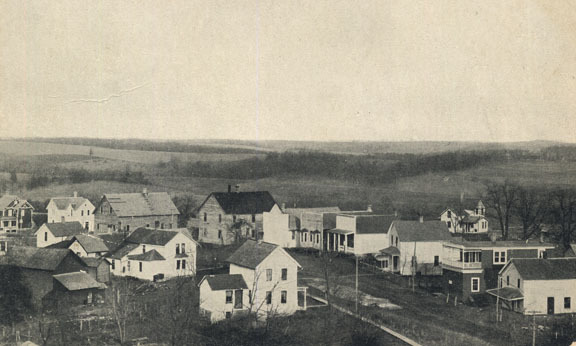 Older than the state of Wisconsin, Cross Plains Township began in 1846 as a part of the town of Madison but was set apart by an act of the Territorial Legislature the next year. Early settlers were mostly German, Irish and Norwegian. The township’s unincorporated village of Pine Bluff and its surrounding farms are part of the area covered by the Mt. Horeb Area Historical Society. 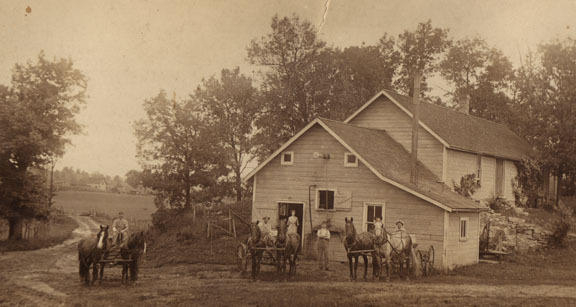 The small village got its name from Onun B. Dahle, who opened a store there in 1853, and in early history the community’s name was spelled “Dahleville.” Daleyville once had two blacksmith shops, a wagon shop, a shoe shop, a physician and a surgeon, a telephone exchange and a school. Onun B. Dahle’s home still stands just off Highway 78 and is on the National Register of Historic Places. The tiny community east of Daleyville was established in 1871 when local farmer Christian Evanson was charged by the federal government to open a post office in his home, and he named the area. It had a store that was founded in 1874 and moved in 1898. The store building still stands. Norwegian furniture maker Aslak O. Lie became one of the first residents to settle in the area in 1848. First it was called Bluff, but a name change came when the railroad did. The new depot was named after Iver Kleven, who settled in the area in 1868. The community once had a cheese factory, school, creamery and hardware store. The Klevens’ general store and boarding house still stands as a private residence. The former rail corridor is part of the Military Ridge State Trail. 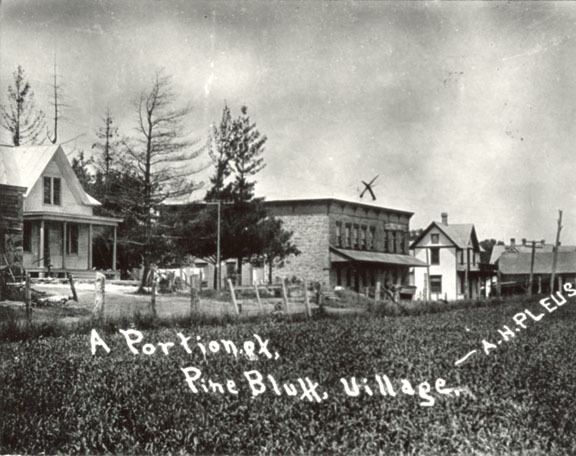 Land purchases that eventually led to the creation of the village began in 1849, but the community’s business center started east of where it is today. 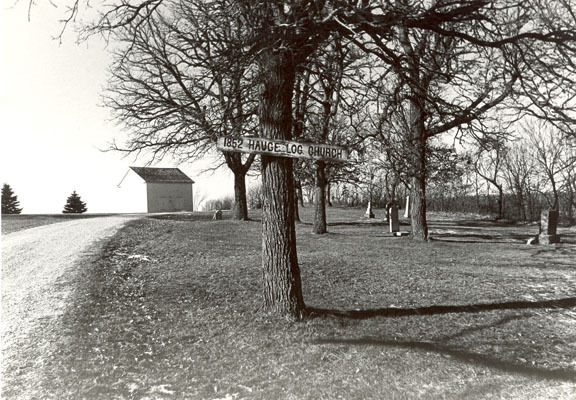 The intersection of four major roads, the site of Dane County’s first traffic roundabout, near the cemetery was where business life developed at what would be called “The Corners” and later “Horeb’s Corners.” Englishman George Wright gave the town its name in 1861 when, charged with choosing a name for the post office, searched Scriptures for a name. When the railroad came to town, it chose the station site farther west than the business district and the look of the town changed forever. Businesses moved to be closer to the train, creating the Main Street area that is familiar to residents and visitors. Mt. 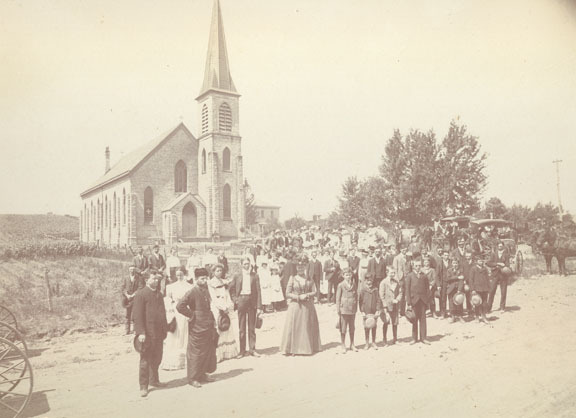 Horeb celebrated its 150th anniversary in 2011 as a community that has seen much growth and change, from a small, rural community to one that is commonly referred to as a suburb of Madison. George Britts built the first house here, arriving in 1851 with his nephew Joel Britts and naming the new village after his birthplace of Mt. Vernon, Va. 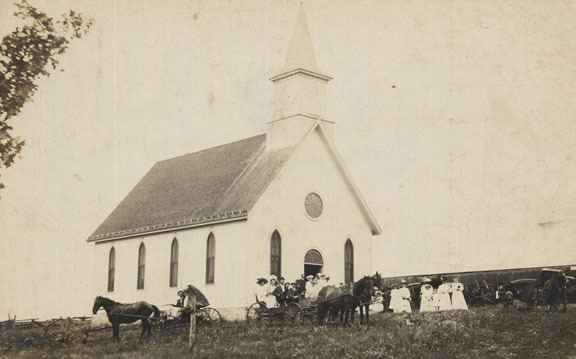 The community in southern Dane County grew to have its own newspaper, telephone company, band, schools and three churches. Bypassed by the railway, Mt. 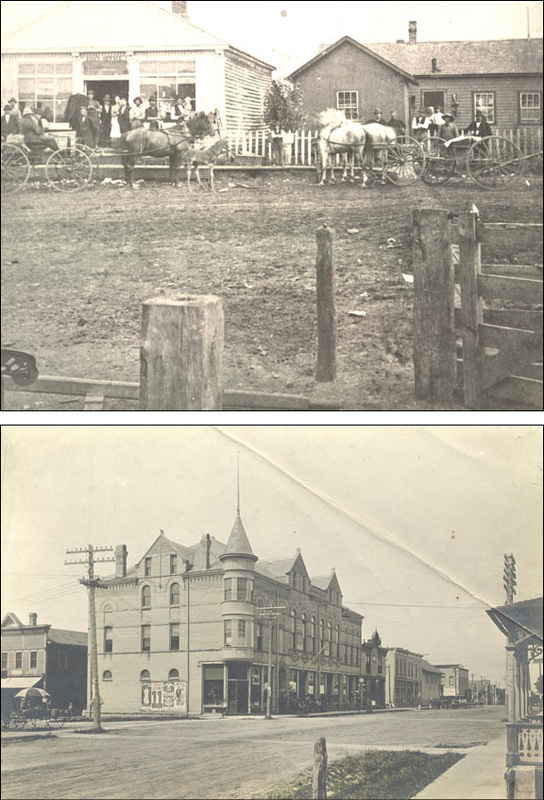 Vernon’s growth ended, but it’s still home to a tavern, feed mill, small businesses and popular softball and tug-of-war tournaments. The town’s government was formed in 1854 and named for naval hero Commodore Oliver Perry. The first settlers had arrived in 1846. 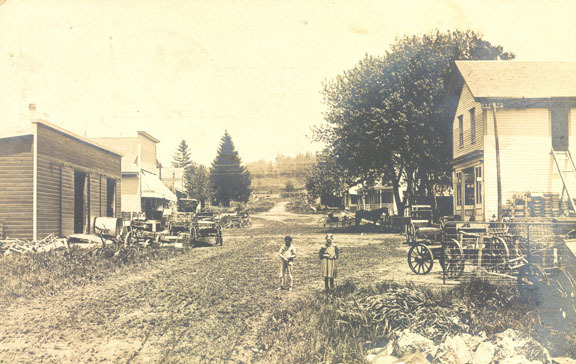 The township’s original residents were mostly dairy farmers, and farming remains a part of the town today. Holy Redeemer Catholic Church still has as members many descendants of the church’s original founders in 1855. The restored 1852 Norwegian Hauge Log Church still stands at its original location on County Highway Z. 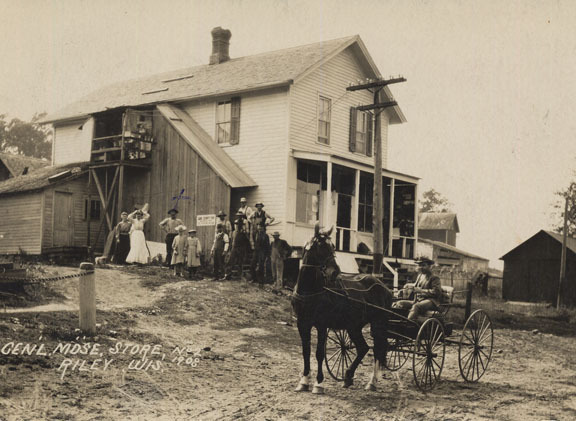 A general store was the first business to open in Pine Bluff, in 1854. From there came other stores, taverns, a post office, school, creamery, a veterinarian to serve the area’s farmers and a harness shop operated by one of the Ringlings of circus fame. Some family farm names go back to the area’s founding, and St. Mary of Pine Bluff Catholic Church still holds services in the original stone building that was built in 1860-61. The first settlers arrived in 1844 and the town was created five years later. The town name came because the wife of the original settler, Robert Speers, suggested it at a town meeting as she recalled the words to a song her father once sang, “On Primrose hill there lived a lass.” Germans, Norwegians and Swiss settled the area, and Anna Tasher made the area’s first Swiss cheese in her farmhouse basement. In 1878 the Tashers built a cheese factory and other cheese factories would soon follow. Primrose is also the birthplace of former Wisconsin governor and U.S. Senator Robert La Follette. “Fighting Bob” was born in an area log cabin on June 14, 1855. An area once traveled to by train is now often traveled to by bicycle. In 1881, the Chicago and North Western Railway turned a farming community into a railroad stop with the construction of a depot on the William Riley farm. In the early 1900s, four passenger trains and two freight trains stopped daily in Riley. As train travel turned into auto travel, the depot was dismantled in 1943 and the last passenger train passed through in 1950. The line was abandoned in 1981 and is now the site of the popular Military Ridge State Trail. The Riley Tavern, once a mercantile store, still serves up drinks, burgers and pancakes to many who travel there by bicycle or snowmobile. Numerous freshwater springs here attracted the first inhabitants, and the discovery of burial mounds and archaeological sites attest to their lives here. The first white settler, William Harlow, came in 1844. The rich but hilly land created the perfect setting for vibrant dairy farming, although today much of the farming is crop farming, organic farming and a large honey operation. The township is known for two landmarks – one man-made and one natural. Springdale Lutheran Church, with a parish founded in 1850, greets travelers along busy U.S. 18-151. And Donald Rock, a large outcropping of sandstone, looms over Highway 92 and Donald County Park. 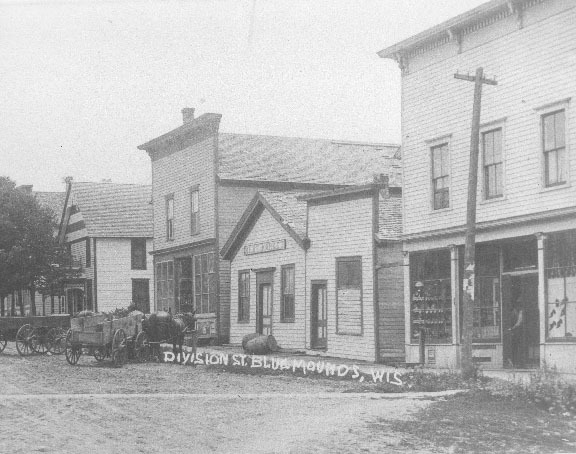 First settled in 1846, Vermont was once part of the township of Blue Mounds but was formed into a separate entity in 1855. The township once had a blacksmith, saw mill, tavern, grain farmers, livestock operations and post offices named Peculiar and Elvers. 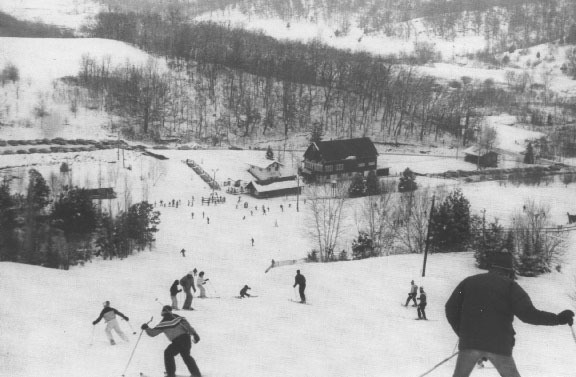 In 1958, a Chicago ski enthusiast named Sandy Stevenson bought a farm on Bohn Road and began converting the farm and its hilly terrain into a ski area. Today, Tyrol Basin has expanded beyond downhill skiing into a destination for freestyle skiing and snowboarding. Source: Mt. Horeb Area Then & Now, published in 2011 by the Mt. Horeb Area Historical Society and available at our Museum shop.